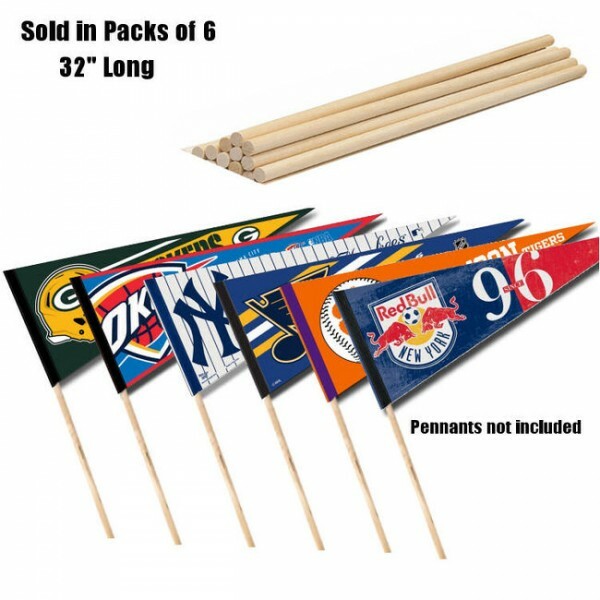 Wood Pennant Frame for 12"x30" Pennants and Felt Pennant Frames for 12"x30"
Our Wood Pennant Frame for 12"x30" Pennants is great for showing your allegiance by displaying your favorite College Team Pennant which are 12x30 inches in size. 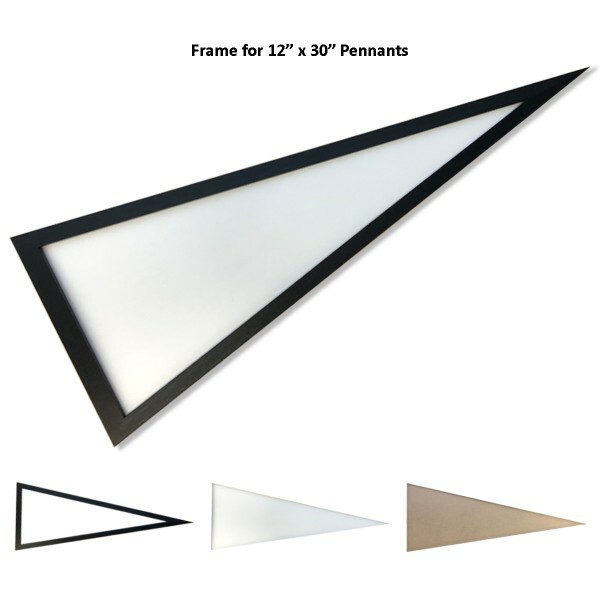 Our pennant frame is made of Solid 7/8" x 7/8" Poplar Wood moulding, stained and finished in satin black, and includes a 1/16" plexiglass cover to protect your pennant from dust and damage. Features include mitered corners which are glued and nailed, outside dimensions of 13.75" (Height) x 34.5" (Width), and these pennant frames have a metal hanger which can be moved to either frame side to hang vertically or horizontally. Our wood frames can hang on any wall of your sports room, office, kids room, or den and fit nicely with our 12x30 inch felt and wool blend College Pennants (College Pennants are sold separately).